The last two chapters in our math book have been interesting. 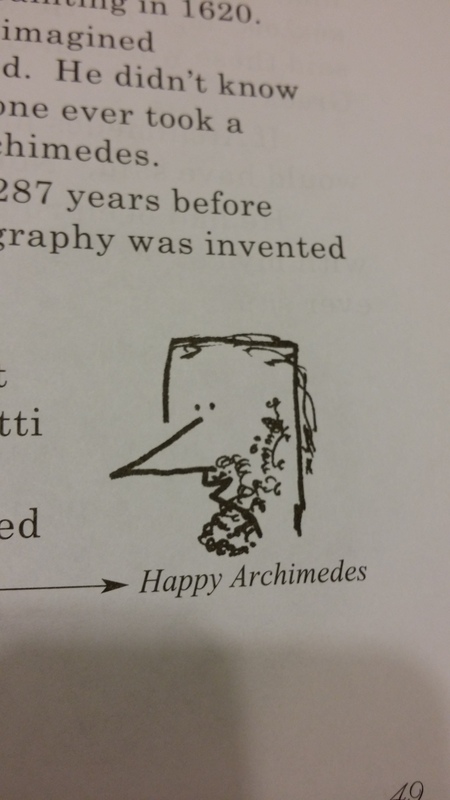 We learned about Archemedes. I didn’t delve deep into him as D just wasn’t ready for that. We’ve taken things easy for chapter 7. D helped read some of the chapter and always surprises me with how well he picks up words. After reading the chapter, we worked on the questions at the end. 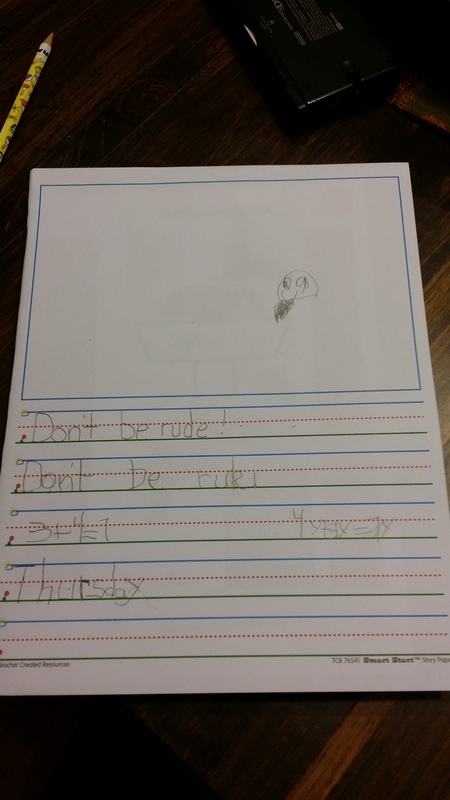 Then I had him write the moral of Fred’s story. For fun, D drew his version of what AR heeded might have looked like. He found this extremely funny. I have found the series to be fun. We get material that may be a bit harD or a bit easy but we are most certainly getting material that is new and challenging. It definnately appeals to D’s sense of humor. We are very pleased so far.